Visitor arrivals to New Zealand are expected to grow 4.6 per cent a year, reaching 5.1 million visitors in 2024 from 3.7 million in the last year. Total international visitor spending - excluding airfares and spending by international students - is expected to reach $14.8 billion in 2024, up 40 per cent from 2017, according to Ministry of Business, Innovation and Employment figures. The surge in tourist numbers has prompted a shift in focus by the tourism industry to concentrate on sustainability, infrastructure investment and high-value visitors, the Trenz tourism event was told in Dunedin. The ministry's general manager of research, evaluation and analytics Eileen Basher, said most of this forecasted growth was expected to come from holidaymakers and those visiting friends and relatives. Australia remains New Zealand's largest visitor market, providing more than 1.5 million visitors in 2017. The forecasts show that this market will continue to be healthy and looks set to grow by 23 per cent by 2024. Another key market for New Zealand is China, and our tourism forecasts predict that China will become New Zealand's largest market in terms of expenditure at the end of the forecast period. Chinese are expected to spend $3.1 billion annually by 2024, compared with $3.0 billion for Australia. China is expected to contribute to 27.4 per cent of total international visitor growth from 2017 to 2024, and 38 per cent of total visitor spending. Australia will contribute 1.8 million annual visitors to New Zealand by 2024, up 23 per cent from 2017, or 3.0 per cent each year. Other Asian markets will continue to grow, due to Increased connectivity and air capacity. 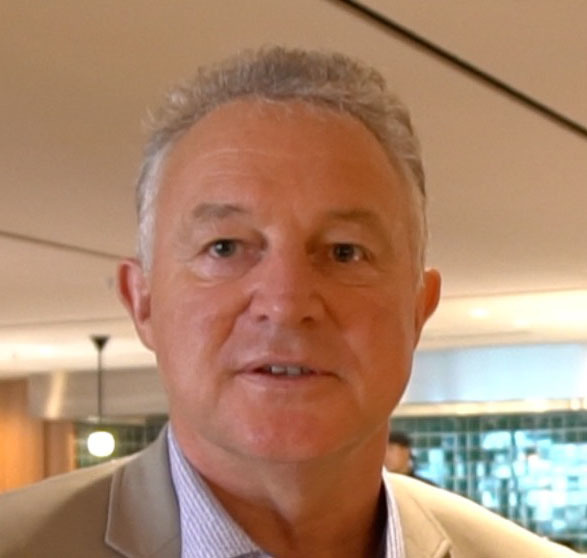 Tourism Industry Aotearoa chief executive Chris Roberts said the tourism industry was booming and delivering huge benefits but needed a social licence to operate. He said that as an industry, new thinking was needed on how we can operate smarter and more sustainably. A recent survey showed that while tourism was supported overwhelmingly by New Zealanders, 22 per cent thought there were too many visitors. About 60 per cent of New Zealand's total tourism spend comes from domestic visitors, and that New Zealand's international visitor arrivals numbers were not high by global standards. New Zealand's ratio of annual arrivals to population is 0.8 to 1. That was relatively low compared to some similar destinations. In Ireland, it's 2 to 1, Croatia 3.3 to 1, and in Iceland, it's more than six times our ratio, at 5.1 arrivals for every resident. "But it is not a numbers game – we must remain firmly focused on value, not volume. Tolerance has to be self-determined by every destination.Tourism is a means to an end; it is not an end in itself. We must use it to deliver social and economic prosperity for communities. TIA international spending figures include airfares and student spending and are put at $14.5b a year.